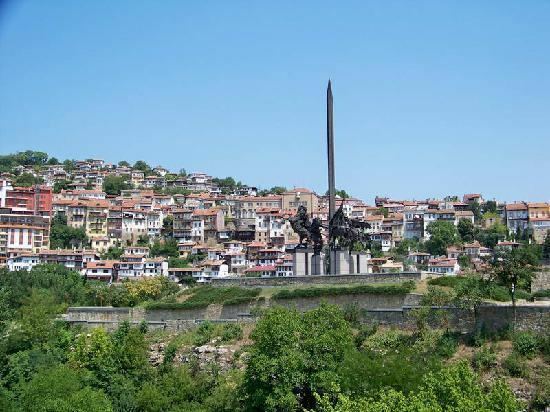 Veliko Tarnovo (Bulgarian: ) is a province in the middle of the northern part of Bulgaria. Its capital city, Veliko Tarnovo, is of historical significance as it is known as the capital of Medieval Bulgaria. The province is divided into 10 municipalities with a total population, as of December 2009, of 275,395 inhabitants. Other towns in the province include Gorna Oryahovitsa, which is within 10 kilometres of Veliko Tarnovo, Svishtov, set on Danube River and famous for its Tsenov Academy of Economics, and Suhindol, the hometown of Lovico — an internationally recognised label for fine wines and spirits. Another notable place is the village of Arbanasi, set between Veliko Tarnovo and Gorna Oryahovitsa. The combination of old style and modern architecture, as well as its churches and monasteries, present the spirit of Bulgaria. Real estate is among the most expensive in the country. Prestige 96 is one of the largest sweets companies in Bulgaria and is based in Veliko Tarnovo. Another respected factory in the industry is Karmela 2000. The Bakery, founded in 1885, is one of the largest plants of its kind in Bulgaria. Elit mes OOD, founded in 1995, is a meat products producer located in the North industrial zone.